Terrariums are the new black, as you will know if you have been anywhere near a garden blog or plant show in the last year or so. They can be tailored to every kind of indoor décor and are relatively self sufficient. Plus, they’re the cutest things in the whole damn world and you just want to cuddle them. However, being the plant whisperer that I am, I have already tried and failed to make several ‘sealed’ terrariums (self sufficient mini ecosystems). So I decided to try the less complicated ‘unsealed’ version. To make it even easier for myself, I used airplants. Airplants are what are known as ‘epiphytes’, which means they don’t need soil to grow. They are also virtually impossible to kill, which helps. You can get these at most big nurseries, although it’s worth calling first to double check they have them. You can buy these from bargain shops but the cheapest and most exciting way is to collect your own. 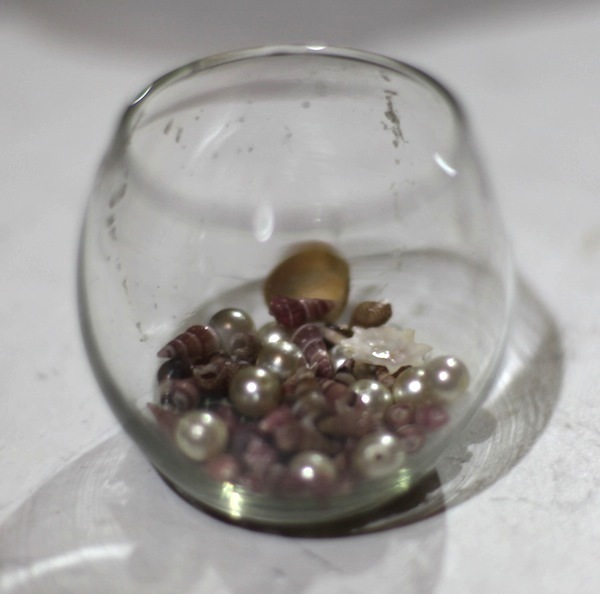 – Miniature figurines (I feel compelled to write ‘optional’ here BUT IF YOU WANT A CUTE TERRARIUM THEY ARE THE MOST IMPORTANT BIT). 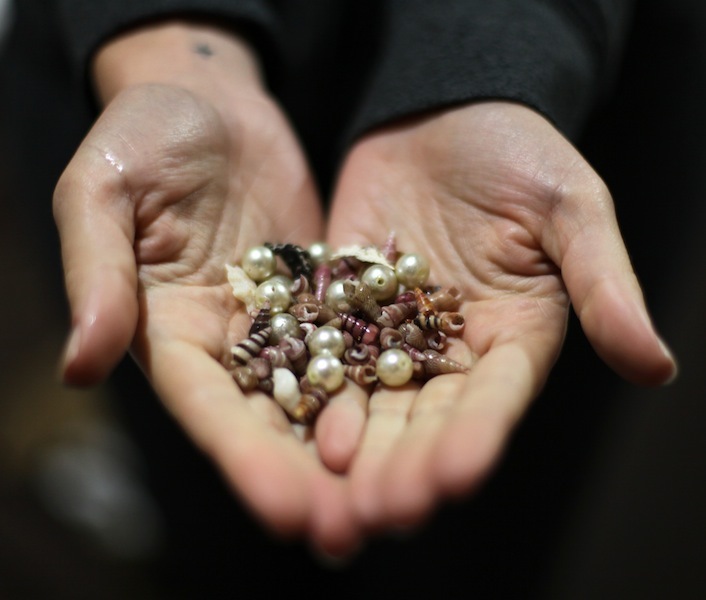 These can come from a range of sources – anything from a Kinder Surprise figurine to those ornamental rabbits you have had since you were five and never knew what to do with (or is that just me?). 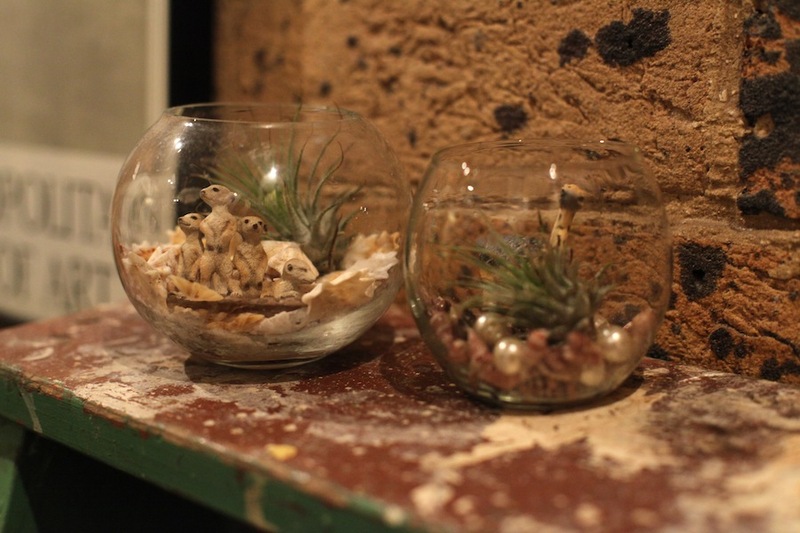 Since terrariums are now the coolest thing since sliced bread, you can also buy them online, for example on Etsy. 3. Put in your figurines. 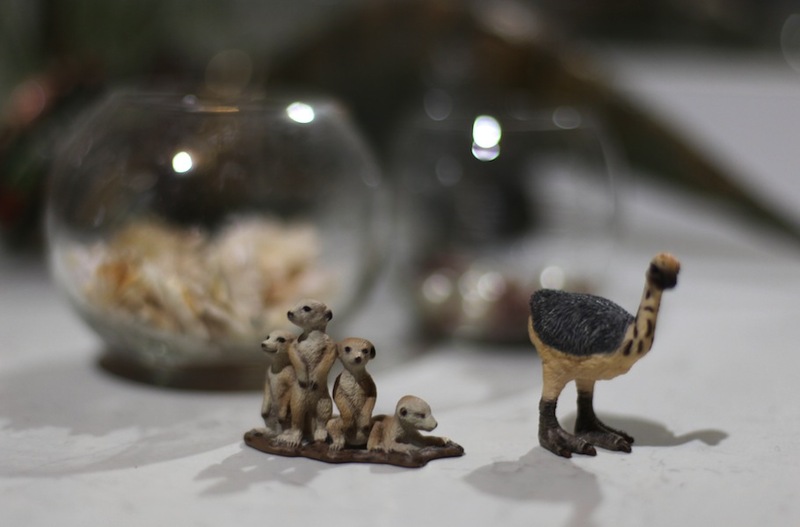 I used a family of three meerkats and an ostrich. I bought these Schleich whilst on holidays and have been saving them for a rainy day. You can also get them online. 4. 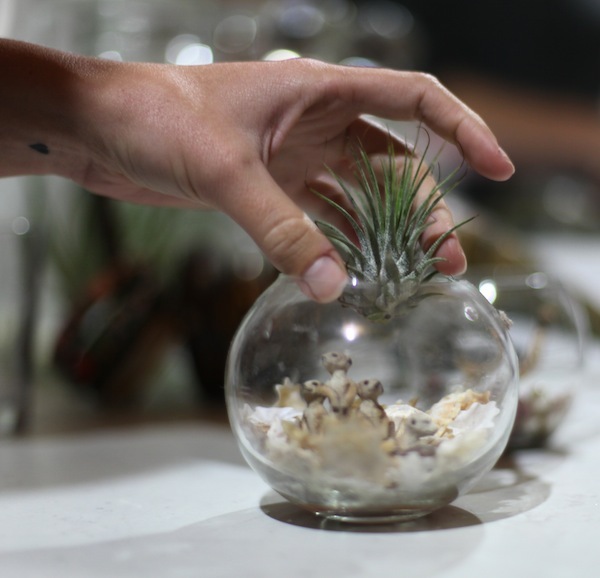 Lucky last – pop your airplant in and step back to admire your handiwork! Whoever knew a plant could be so damn adorable. 5. 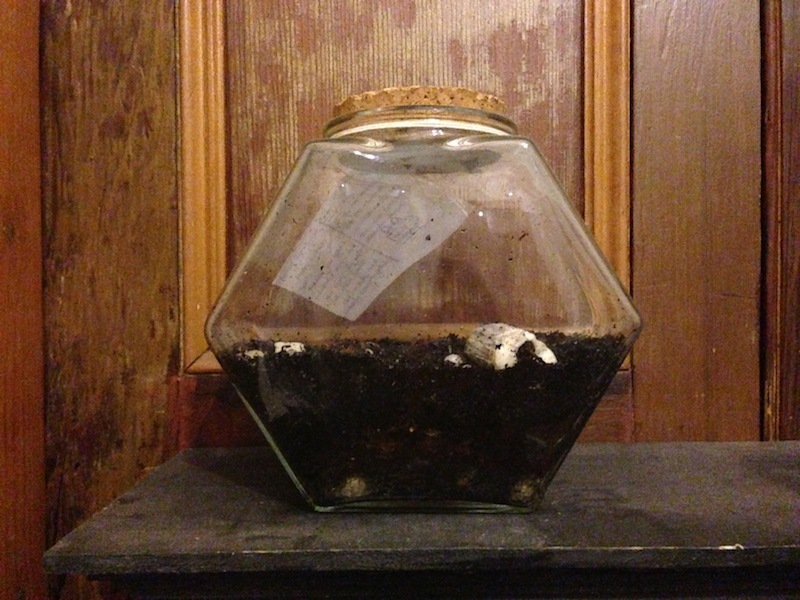 Don’t forget to water your new terrarium as even an ‘air’ plant needs water. As airplants come from forests high in humidity where they strip moisture from the air, spray your airplant with water from your spray bottle a few times a week, and every couple of weeks give your airplant a good bath – I put mine in the bathroom sink for an hour or so before returning them to their meerkat friends. I am here to learn a) how to grow green things and b) how not to kill them. Up until now, these seemingly simple goals have proved extremely difficult and my 25 year past is littered with dead herb gardens, murdered bonsais and most recently, massacred flower bulbs (apparently you can’t leave them in a laundry for three years and then try to plant them). If you are a black thumb, a lazy gardener or a garden novice…this is the place for you. Come along with me as I try (key word: try) to convert my tiled inner-west Sydney courtyard into a garden. I’d never thought of meerkats with airplants before but they definitely work and you’ve got exactly the right idea with your airplant watering – a regular soaking will keep them looking bonny. If and when they flower, the original plant will start to die a few months later but will produce ‘pups’ or side shoots which you can then grow. 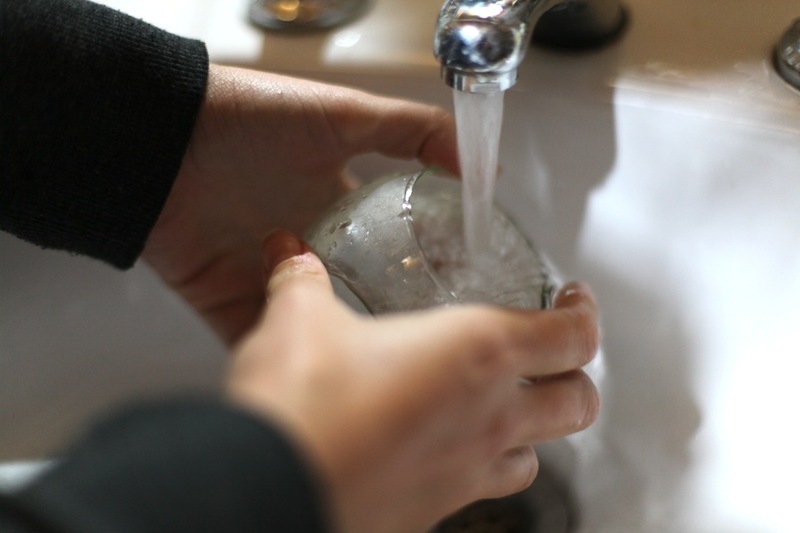 No worries at all – it was one of the reasons I loved this project so much – I had many of the things at home! Glad to hear you have found a use for your bowl. I’d love to see a picture when you’re done! Precisely why I love them Peter!